Three years have gone by. I sat at my kitchen table in my apartment. The sun shines through the window, sharing it’s light and warmth across my shoulder, arms and table. It’s cold outside, so I welcome it’s rays of sunshiny warmth like being wrapped in a cozy blanket. These phrases mixed with others got thrown around as I shared my struggles with other Christian women. 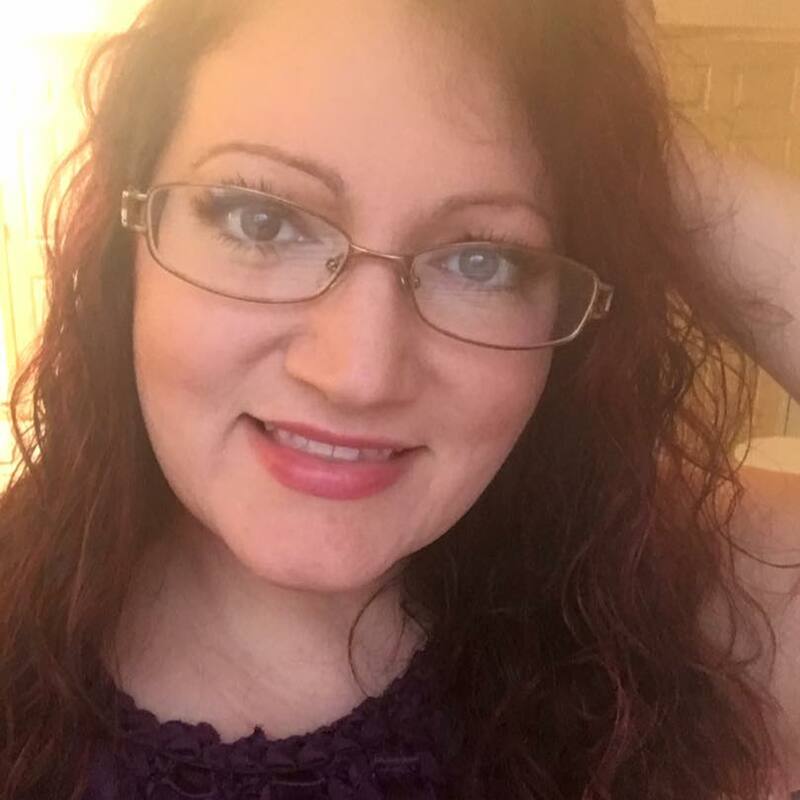 My heart and strength were crushed and I was looking for a Titus 2 woman to give me advice and mentor me. I longed for Spring. A change in the season meant warmer days, trees budding with new life, colorful red and blue birds singing their cheerful melodies and I ache for a newness to spring up in me too. It’s been three years, but I sense a change coming. I can’t put my finger on it, but it feels like Spring. I’m thankful for changes in the seasons, because it reminds me that there is a season for everything. Seasons come and go. This dark season in my life has an end. A new season of growth, healing and God’s glory is coming. Soon! This season of winter, I’m done with it. It carried me farther than I wanted to go, deeper than I’ve ever been, and hurt more than I have words to express. But it didn’t destroy me. I feel it distracted me from what I wanted to be doing during this time of my life. Or maybe, God had me walk through this to make me be still in Him. Refocusing. Surrendered to Him. Lifting my eyes to His Glory, allowing Him to shine His light and love on me, like the sun warming my kitchen. God brought the right women into my life at the exact time I needed it. He perfectly orchestrated these friendships. And I couldn’t be more grateful. I’ve learned about Faith and Trust in the Lord. And how it’s a moment by moment event. Always active or it doesn’t exist. Stepping out in faith, peeking my head out from under the blanket. Tired. Exhausted really. But If I didn’t reach out in faith to grab onto God’s Hand, this heavy black blanket would suffocate me. 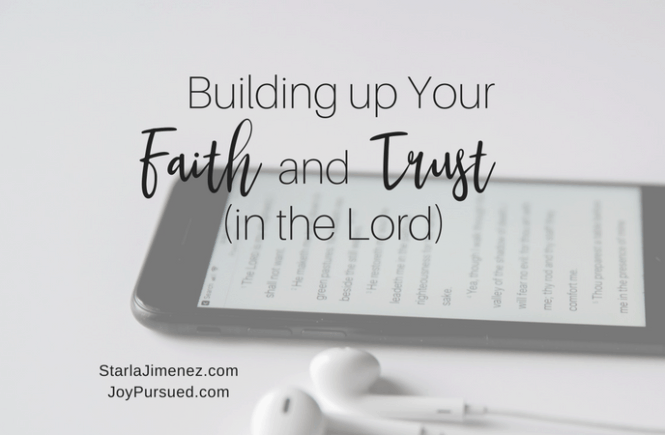 To finish reading this article and all my tips and favorite bible verses on building your faith and trust in the Lord please click HERE. 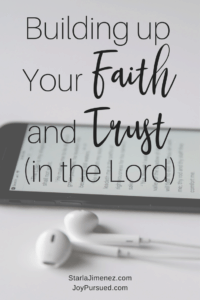 Grab your FREE Printable FAITH BUILDING Bible Verses Here. Next time you are walking through a hard season in life or perhaps you are just seeking to learn and grow in the Lord. I hope you what I’ve learned and shared with you resonate deep within your heart to stir you to seek God, surrender to Him, memorize scripture and preach it to your heart.